When I first adopted my dog Rufus he was about a year old and came into the shelter with no history. Like most dogs I see in beginner obedience classes, the one thing he seemed to “know” or at least figure out very quickly, was that when he sat, I gave him a treat. This is a great behavior and something we want our dogs to do. We teach them to do this by putting the behavior on cue (“sit”) and we reinforce it when they just happen to do it on their own (even better!) BUT your training should not stop there. 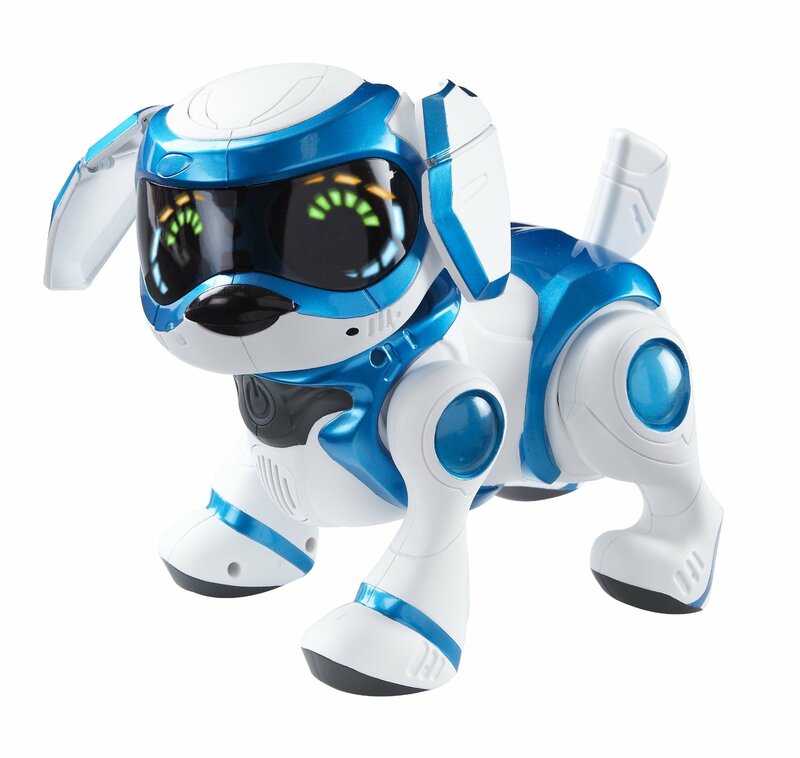 I see a lot of what I like to call Robot Dogs when what I really want to see are Thinking Dogs. 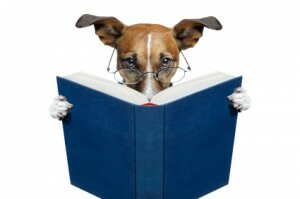 Lots of dogs are highly Trained (yes, that’s trained with a capital “T”!) but they never really think. Robots. Some folks are perfectly happy with a well Trained (Robot) dog, I mean, why wouldn’t they be? The dog is doing what they (the human) want, when they want them (the dog) to do it. I see dogs walking in a perfect “heel” alongside their human in what looks, while admittedly very pretty, incredibly B-O-R-I-N-G to me. People who participate in dog sports (agility, nose work, treiball etc.) understand the joy of a Thinking Dog but most of us, even professionals like myself who concentrate more on family “pet” dog training, may not quite get it until we see our dog in Thinking action. I first became aware of this (late in my game regrettably) with my current dog Rufus when we started doing tricks. Among other things of course (see sports above), trick training is a fantastic, easy way to turn your dog into a Thinking Dog. When I start a tricks class my first communication to my clients is that we want a DISobedient dog! We want them to get a little frustrated with us and try new things. That old “sit” they were doing for reinforcement earlier just isn’t working now. They need to step it up, try something else, THINK of a new behavior to offer us. Sometimes the beginning stages of trick training are well, tricky because our dog may not be used to having to think. I remember pulling out that damn box for the box game with Rufus at least four times before he would do anything but sit in front of me waiting for a treat. But if you keep at it, that moment when you see your dog’s brain just “click” and “get it” (and you WILL see it, I promise, hang in there!) it truly is an amazing thing to experience with your dog. And NOW you have a Thinking Dog!